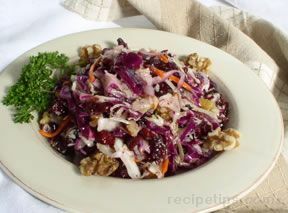 Oil-and-vinegar dressing tossed with wilted cabbage, almonds, Parmesan cheese and mandarin oranges. Mix oil, vinegar, soy sauce, honey, curry powder and crushed red pepper in small bowl until well blended. Stir in onions, parsley and salt. Season with black pepper to taste. Heat large skillet or wok over medium-high heat. 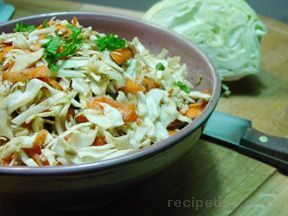 Add 2 tablespoons of the oil mixture and half of the cabbage. Cook and stir 2 minutes, or until cabbage is wilted. (Do not overcook.) Place in large serving bowl. 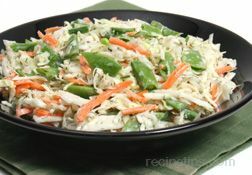 Repeat with 2 tablespoons of the remaining oil mixture and the remaining cabbage. Add remaining oil mixture; toss to coat. Gently stir in oranges, cheese and almonds.